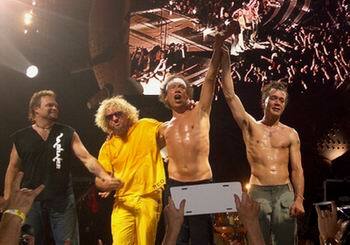 Van Halen Live 6/23/04 with MSG :) It’s About Time! 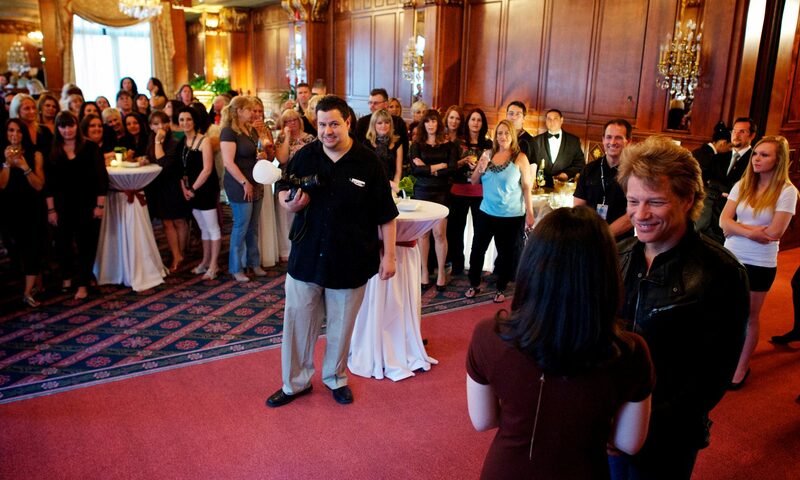 vhnd.net – VH News Desk – Great New Photos! What can I say! 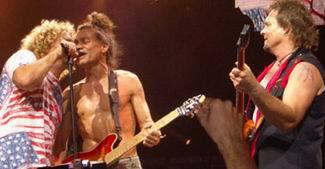 Van Halen and Sammy for that matter are BACK! 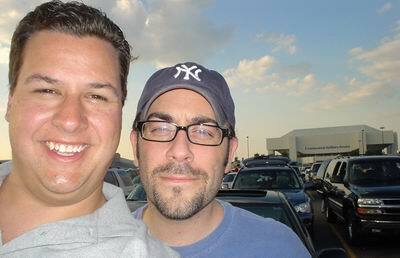 I had a great time going with my long time, since birth pal Mike Gilligan! Mike first introduced me to Van Halen in the 8th grade with the album Diver Down and then 1984. I fell in love with the band and they have been one of my favorite bands ever since. It was also Mike, who I went with, 18 Years ago in 1986 (god i am getting old!) to my first REAL concert, at the very same location at the Meadowlands. 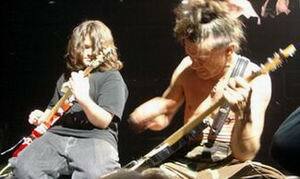 We saw Van Halen on the 5150 tour! It was an amazing night! Since then, I have seen the band many times as well as seeing David Lee Roth over the years. Well its been 8 years since VH have toured and I really had missed them! Knowing all this, you can see I was VERY excited to see the band again. I went into the show asking not to know anything at all. The show turned out to be really good and it was great seeing the band again! Sure I was kind of disappointed that, hey they haven’t done anything with Sammy in 8 years and what the hell, its the same show i saw 8 years ago, with the exception of two new songs! Lots of songs were missing and I wished this reunion tour was not so rushed and they did some more classic Roth era songs as well as some classic Sammy songs! 12. Why Can’t This Be Love?